In her novel A Mercy Toni Morrison writes about a enslaved girl called Florens whose mother gives her away at an early age to a kindly stranger because she thinks it’ll give her daughter a better life than the one she herself has. Years later the girl gets her chance but she misses completely because it requires of her nurturing instincts; that she become mother – to a young boy adopted by the man she loves. Never having been mothered herself she sees the child as a competitor and the consequences are tragic. 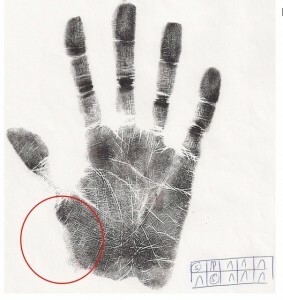 This is an extreme version of what hand analysts call “missing mother’s milk”. This is the opposite extreme. self care and TLC from yourself if not your original mother. How does a need for positive mothering show in your hand? Take a look at the shape of the outer edge of your palm in the area between the thumb and your wrist. Called the Venus area of the hand. Is this area concave and blue? Or is it well rounded, fleshy and filled out? When this part of your hand starts to concave in it means it’s time to put your need for extreme self care and self nurturing on the front burner. Here’s what “missing mother’s milk” looks like. Note the indent, as if a bite has been taken from this part of the hand. This weekend Itzhak Beery will be in Zurich offering a workshop on mother healing. 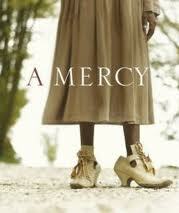 More about Toni Morrison’s A Mercy? Morrison’s story is a fascinating exploration of human slavery because she sets the novel in a time period before slavery becomes linked to race. And she explores this landscape from an interior perspective. What makes a person a slave? Watch out for a forthcoming post on this and how it shows up in hands. I really like reading your writings. Thank you for directing me to find this blog about mother’s care. Haven’t had any notes about Richard lately.. Is he still having interviews and classes with you? Yes. We’ve just been having a summer break. Back on track on 25 August with the next call on irresponsibility. useful websites on the web. I’m going to recommend this blog!